In recent years, digital advertising has been developing at a rapid pace and has gained wide popularity among business users. As digital advertising requires a wide range of specialized techniques, it is often difficult to recruit new blood for the industry. 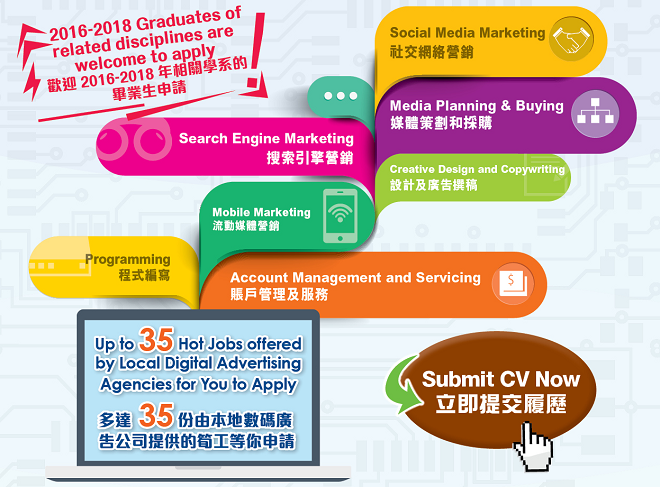 At present, while a lot of digital advertising companies express the difficulty in finding the right person to conduct industry campaigns, fresh graduates who intend to join the industry also face many hurdles as they lack the relevant experience demanded by most digital advertising companies. To foster the development of the digital advertising industry by nurturing more well-equipped digital advertising talents.